I for one am happy to welcome back the daily custard flavors. 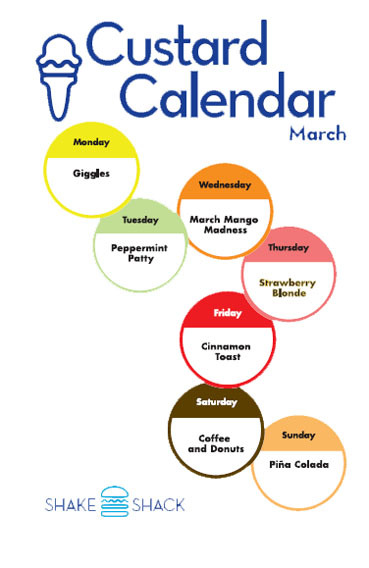 1) It's fun that the calendar switches everyday, 2) more custard switches mean more custard flavors and 3) it means the at least Danny Meyers thinks warmer weather is upon us. (Though maybe this is all some psych out to avoid using the heat lamps...). Not sure what "Giggles" is, but it sounds like fun. 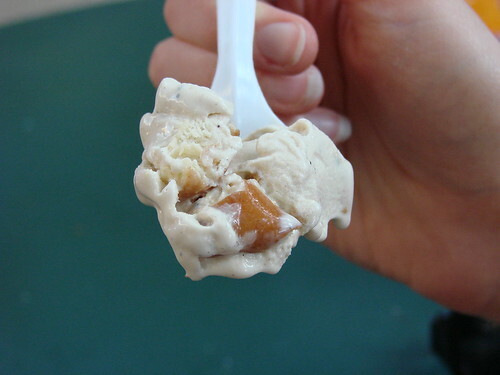 The Coffee and Donuts custard is definitely a winner and Blondie will certainly have to give the Strawberry Blonde a try. But I have a feeling the diehard Mets fan in Ms. Blondie is much more interested in the Citi Field offerings. 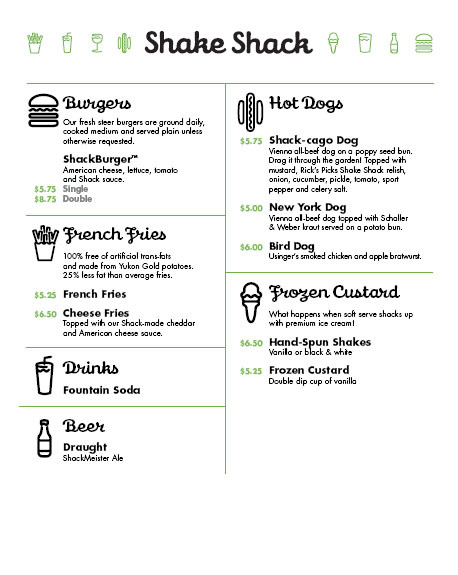 By the looks of the menu on the Shake Shack site, looks like Citi Field has a more limited, but still adequate menu. Few things to note: as of now it doesn't seem like vegetarians will have any burger or hot dog options. 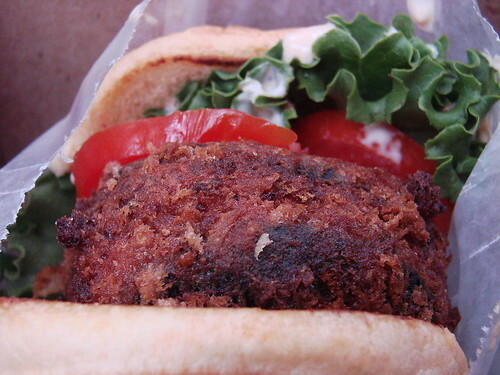 Very sad news, especially since Shake Shack's 'shroom burger is so freaking good. I was hoping it might make it's way onto the Citi Field menu, maybe they'll reconsider after they open. A girl can hope right? Man alive....everything they produce looks amazing. I HAVE to HAVE to get out there....and soon! Giggles = Chocolate, caramel, and peanut butter. Yes! wow, those prices at Gov't Bailout Field sound really reasonable. Too bad we don't have anything like the all-you-can-eat bleacher seats like some stadiums. one can dream though! Whats the point to Shake Shake without the 'SHROOM BURGER! It the best cheese-to-stomach delivery system in the world!